Threatened reductions in foreign aid from the European Union and its struggling governments could undermine efforts to combat malaria, a readily preventable disease that nonetheless takes a heavy health toll in poor nations, international health experts say. With aid spending on the chopping block in the EU’s 2014-2020 budget draft and many European capitals failing to meet their commitments to poor nations, health organisations are bracing for cuts in financing to prevent malaria. The disease kills an estimated 655,000 people every year and sickens millions more. “Malaria is a disease of poverty which unfortunately keeps people on a downward spiral of poverty, so I am a strong believer that higher-income countries have both a responsibility and moral obligation to countries of lower-income status to break the scourges that are keeping development from occurring,” said Dr. Scott Filler, senior technical advisor on malaria at the Geneva-based Global Fund, an international institution that finances treatment and prevention of AIDS, tuberculosis and malaria. The Global Fund already estimates that money from its biggest contributors – which include the European Commission, EU member states, the United States and Japan – will decline from $3.5 billion in 2012 to $3.3 billion in 2013. The organisation’s data show that contributions from private foundations and companies are also shifting downwards, from $181.6 million to $164 million, for an overall 6% drop. WHO Director-General Margaret Chan called for more than doubling annual donor commitments to malaria prevention from $2.3 billion to $5.1 billion (€1.7bn to €3.9bn). That seems unlikely given the challenges facing development aid overall. In Europe, billions of euros in spending to support poorer nations is at stake as national leaders weigh cuts to overseas development assistance. The EU is collectively the world’s largest aid donor, providing $86 billion (€66 billion) from national governments and EU institutions – or 55% of the world total in 2011, according to the Organisation for Economic Co-operation and Development. But austerity measures could cost the EU’s aid budget nearly €10 billion for the period running from 2014 to 2020 under proposals being discussed by EU leaders. Similar budget paring in the United States and Japan are already threatening aid programmes. Spending for malaria and other ailments suffered another setback when the Global Fund temporarily suspended project financing in 2011 amid internal squabbles and allegations of theft in a few recipient countries. The problems led to the appointment of a new director last year and overhaul of how the organisation hands out money. The fund operates in 77 countries and since its creation in 2002, has provided around half of overall funding for malaria prevention and control, data show. 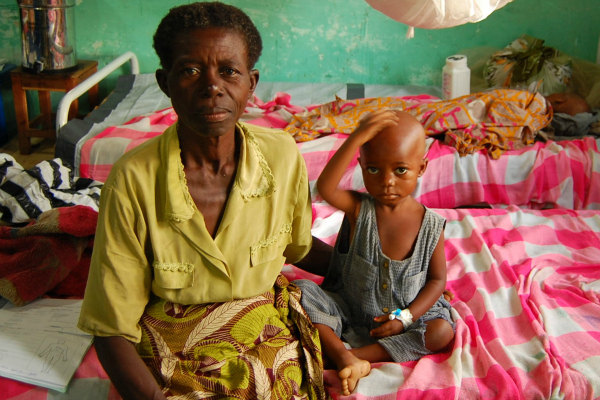 Health experts echo the WHO in saying that losses in aid could hamper progress measured since the United Nations set out its Millennium Development Goals (MDGs) in 2000 to reduce disease, hunger and poverty. Since then, the mortality rate from malaria has fallen 25% worldwide and 33% in Africa, where 90% of malaria-related deaths occur, WHO data show. Still, the malaria situation is worsening in some of sub-Saharan Africa’s most populous countries, including the Democratic Republic of Congo and Nigeria, where the full extent of problems is difficult to assess because of spotty monitoring. “The battle against malaria might be successful in some African countries, some Asian countries, but there are still quite some spots on the map where malaria is not decreasing,” Dr. Jorgen Stassijns, malaria advisor and specialist in tropical disease at the Belgian branch of Médecins Sans Frontières. The irony in potential loss of international aid is that the cost of battle malaria is relatively cheap. The disease is transmitted by mosquitoes, so eliminating stagnant pools of water where the insects breed is a no-cost start. Sleeping under bed nets treated with insecticides has been heralded as a leading factor in declines of malaria, particularly among children at a price of around €2. Health experts say that even small cuts can hurt progress, noting that prevention requires public awareness, bed nets need to be replaced over time and treatment requires consistent supplies of medications. The Global Fund’s Filler says the governments in beneficiary countries also have an important role to play in providing support for preventing malaria. EURACTIV launched today (9 January) its new Development Policy section. To subscribe to the Development Policy newsletter, please click here. Margaret Chan, director-general of the WHO, has argued for bigger commitment from donors in the fight against malaria. In the foreword to the UN organisation’s latest World Malaria Report, she says “the available funding still falls short of the resources required to reach the health-related Millennium Development Goals and other internationally-agreed global malaria targets. An estimated US$ 5.1 billion is needed every year between 2011 and 2020 to achieve universal access to malaria interventions. “Malaria is one of the most important communicable diseases but it’s not really an expensive disease to treat or to prevent,” Dr. said Dr. Jorgen Stassijns, malaria advisor and specialist in tropical disease at the Belgian branch of Médecins Sans Frontières. In 2000, the EU's 15 countries vowed to devote at least 0.7% of their gross national income to development aid by 2015, which coincides with pledges to help developing nations cut poverty by half under the UN Millennium Development Goals, or MDGs. A lower threshold, 0.33% of GNI, was set for the 12 countries that joined the EU since 2004. But today's economic and sovereign debt crises mean that few EU countries are on course to meet the goals. Several countries, including debt-plagued Spain, Portugal, Greece and Ireland, have cut aid spending, data from the Organisation for Economic Co-operation and Development show. Austerity measures could cost the EU’s aid budget nearly €10 billion for the seven-year period running from 2014 to 2020 under proposals discussed by EU leaders at their November 2012 summit in Brussels. Four nations - Sweden, Luxembourg, Denmark and the Netherlands - have exceeded the 0.7% target, OECD figures show. Europe’s two biggest economies - Germany (0.40%) and France (0.46%) - spent less of as a percentage of GNI on foreign aid than Ireland (0.52%) in 2011.